Size: approx. 3 mm. Photo: 09/01/18, 9 pm. 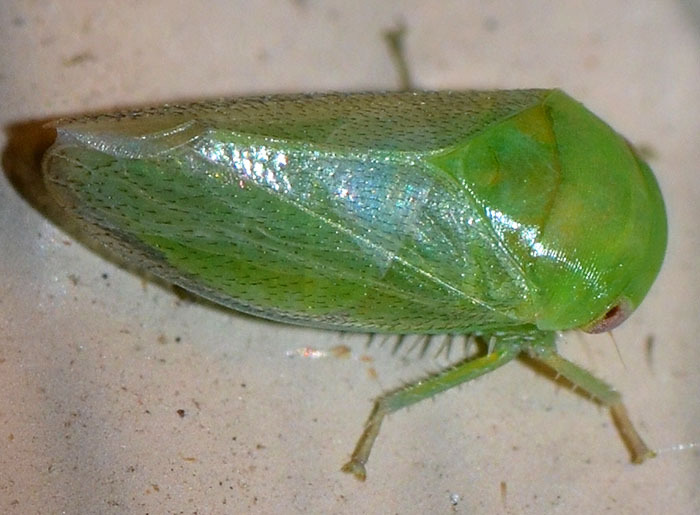 A stubby looking, bright green leafhopper with tiny black, dash-like marks and red eyes suggesting an earlier night of heavy partying. 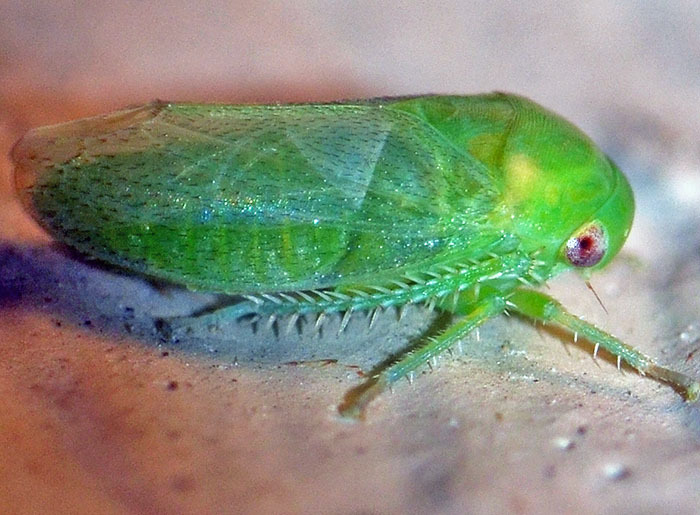 The species is not uncommon but mainly found in the South from Arizona to Florida. The small photo shows the same specimen that I found underneath our porch light.